Visiting London on a budget can be challenging, because this is among the world's most expensive cities. Each year, many prospective tourists -- people who would enjoy themselves very much in this city -- bypass London because of high costs. But it is possible to visit this vibrant, historic city on a budget. Here are some strategies for dealing with the price of a trip to London. Check out budget travel tips for airfares, hotels, transportation, things to do, dining, attractions and even a short layover on the way to another city. It is set up as few other cities for economical travel. There are six major airports in the region that serve hundreds of commercial flights a day. With this much volume, there are many more chances for the budget traveler to snag a bargain ticket. Check out some strategies to get started with your search. A typical London hotel room is undersized and overpriced. But there are ways to save. Consider London's budget hotels, bed & breakfast options, hostels or apartment rentals. Start looking for ways to save money with these tips for London accommodations on a budget. What's the cheapest way to get around London? The answer depends upon your plans. If you're planning to spend most of your time in Central London, there's little doubt The Tube is your most efficient and economical option. Take a look at tips for public transport and car rental. London is a city with famous attractions that are often viewed as "must visits." Some of them are expensive. But you can balance those expenditures with plenty of free or inexpensive activities. Attending Broadway-quality productions is cheaper in London than New York. Check out tips for making your list of London things to do affordable. Many travelers will tell you London is not known for its food. You'll do better in other European capitals such as Paris and Rome. While that might be true for many tastes, don't discount the variety of budget choices London offers travelers. From pubs to the area's thousands of small ethnic restaurants, you're bound to find a satisfying cheap meal on a budget in London. London is famous for Parliament and Savile Row. For many, it is not a place to visit solely for its cuisine. People who feel this way tend to have food-critic tastes and budgets to match. As with all stereotypes, this one fades with each passing year. Excellent food and reasonable prices are not that hard to find. In fact, the cosmopolitan nature of this vast city makes it one of the best locations on earth for sampling a variety of dishes. Bed-and-breakfast establishments typically offer a morning meal that will tide you over until dinner. Lunch need not be more than a snack. If you stay at a conventional hotel where breakfast is not included, consider this: Unlike Paris and many other European cities, you can find hearty breakfasts in restaurants here that will not break the budget. Lunch and even dinner can be a "picnic" assembled at London's markets. London pub tours have long been a place to enjoy an inexpensive meal and incomparable atmosphere. Beware: developers are putting up imitations of the authentic neighborhood pubs throughout the city. The imitations are frequently long on expense and short on authenticity. London is a great place to employ a sound budget dining strategy. The idea is to eat a big, free breakfast when possible, take it easy on lunch, and save the bulk of your food budget for nice dinners that expose you to the culture of your destination. There are a number of guides that give information based on price ranges, generally using "expensive-moderate-inexpensive" or similar designations. London Dining Guide provides links to restaurants in a fairly wide area. Other guides are less structured, and often assembled by students or people with an interest in helping visitors to London. It's one of the most popular attractions in London, but it can rank among the most expensive when you have a larger travel party at peak tourist season. What's worse, it can cost you precious time waiting in line. Consider your interests, budget and time constraints carefully before you plan a visit to London Eye -- with help from this review. It happens to many travelers in Europe: you find yourself with a lengthy layover in London or with 10 hours to switch from one major airport to another before your journey can continue. 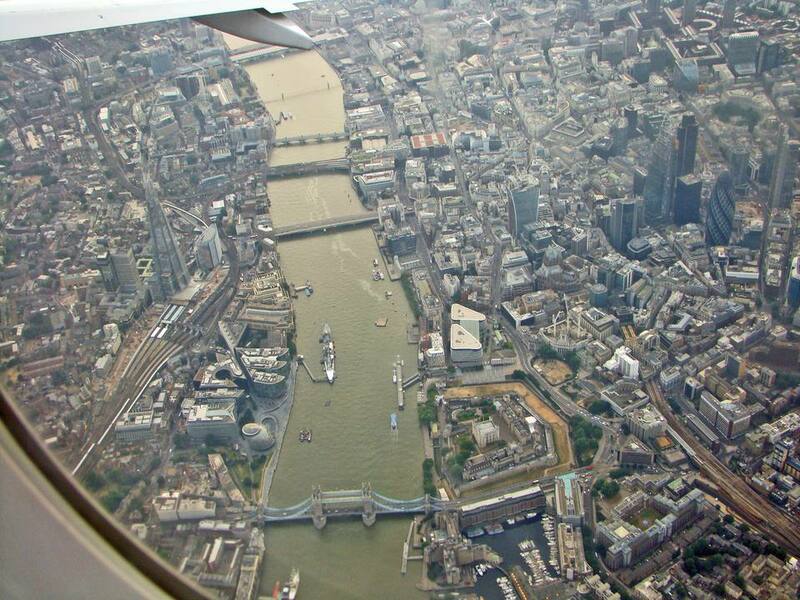 It is possible to take in a few sights on a budget if you know how to plan for a London layover. In any city that attracts large numbers of visitors, there are traps (both intended and otherwise) that will cost you money. In London, some first-time visitors are intimidated when confronted with public transport, opting for expensive cabs instead. Don't allow your initial reactions to result in added costs. Avoid these pitfalls when you visit London. You'll save money and that other precious resource of time.